Between early hours, the snooze button, and prepping for work, it can be nearly impossible to get in a quality breakfast. Naturally, what usually happens is you end up grabbing something through a drive-through at your local fast food chain; however, what if you’re trying to turn over a new leaf and clean up your diet? Luckily, franchises are starting to stock up on the healthiest breakfast items for their health-conscious customers. And, also luckily, these items aren’t lacking in flavor or substance. Each of the healthiest breakfast items from your favorite fast food joints is outlined below. Each option is low sodium, low sugar, contains less than 600 calories, and contains ample amounts of protein and complex carbohydrates to keep you feeling full until lunch. We also chose options that can be enjoyed without extra sauce and dressings, which keeps artificial flavors and preservatives to a minimum. The Fruit and Yogurt Parfait is for the sweet (but healthy) breakfast lovers out there. Each bite is filled with creamy low-fat vanilla yogurt, blueberries and strawberries, and a crunchy granola topping. 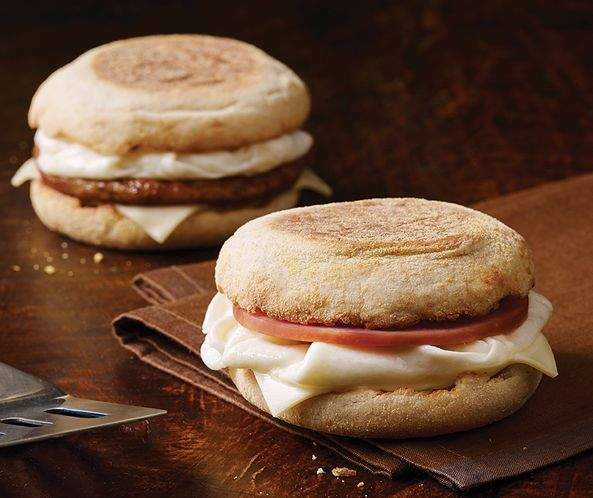 The Egg White Delight McMuffin is made with fresh grilled egg whites, sans the yolks, and is topped with Canadian bacon, white cheddar, sandwiched between a warm English muffin for a tasty, clean, and filling breakfast. The Fruit and Maple Oatmeal is chock full of filling whole grain oats, red and green apples, cranberries and two varieties of raisins. Order it without brown sugar for a low-sugar option. 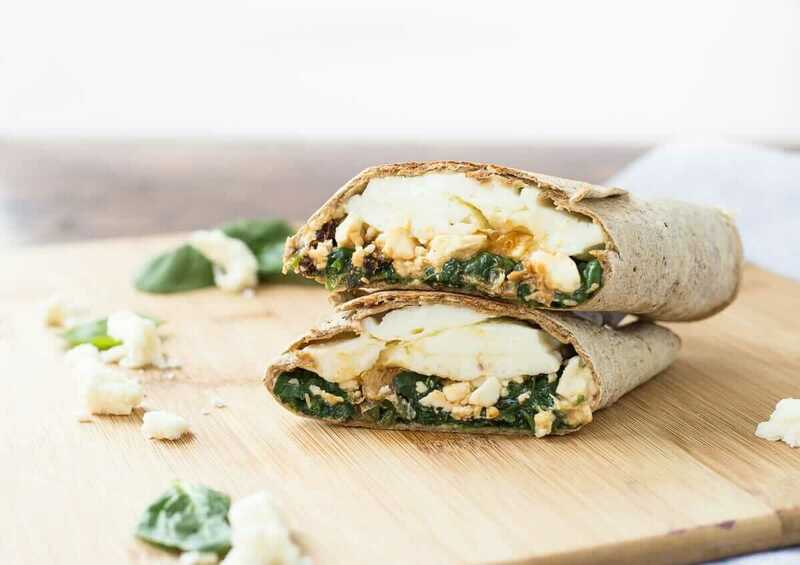 This wrap is bursting with veggies like spinach and tomatoes, as well as protein-rich feta and egg whites, all wrapped in a fiber-filled whole wheat wrap. The Egg and Cheddar Breakfast Sandwich feature warm eggs and mild cheddar cheese stacked between an organic wheat English muffin for a protein-filled breakfast. The Classic Whole Grain Oatmeal contains a rich blend of rolled and steel cut oats, topped with dried fruit and a mixture of nuts for a clean, traditional breakfast. 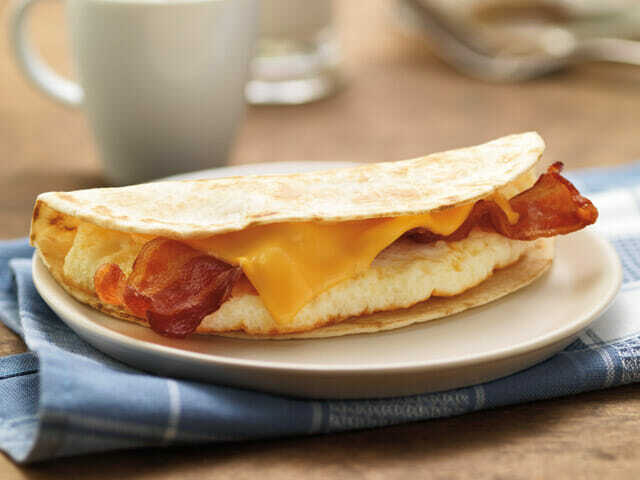 Dunkin’ Donuts Wake Up Wraps offer you a selection of wraps, including your choice of eggs or egg whites, plus your choice of meat, sandwiched between a wrap. Stick to just the egg wrap or the veggie egg white version to keep it clean. The multigrain bagel contains ample amounts of complex carbs to keep you energized throughout your day. Keep in mind that if you add cream cheese, you’ll add an additional 100 calories. The Dunkin’ Donuts English Muffin is chewy on the inside and crisp on the outside and is the perfect option if you’re looking for a simple yet filling breakfast alongside your java. Subway is one of the most underrated places to grab breakfast – not to mention it offers some of the healthiest breakfast items. 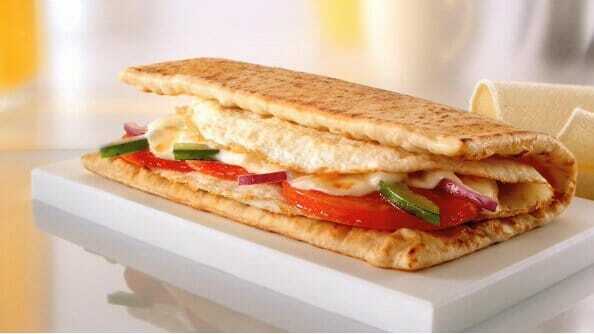 Egg and Cheese Sandwich at Subway is a fantastic breakfast option to keep it light yet filling. If you want even less calories and fat, as Subway to use egg whites and add veggies to your sandwich. While Wendy’s is probably not the first place you think of when you’re looking for the healthiest breakfast items, it’s actually a great place to stop by when you’re in a hurry and want to start your day off with a nutritious meal. The Fresh Baked Oatmeal Bar is baked with whole grain oats, succulent blueberries, and tart cranberries for a filling, sweet breakfast. 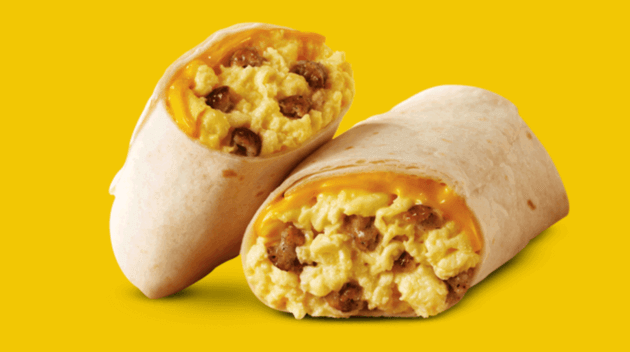 The Sausage and Egg Burrito features fresh eggs, melted cheese, and a seasoned breakfast sausage wrapped in a warm flour tortilla for a hearty, yet healthy and convenient breakfast option. As you can see, healthy breakfast options are plentiful at many of the most popular fast food restaurants in the nation. Whether you need something quick before your workday or need a healthy breakfast option while traveling, these chains have something for you. To stay up to date on the latest healthy items at your favorite fast food chains, follow us on Facebook here.